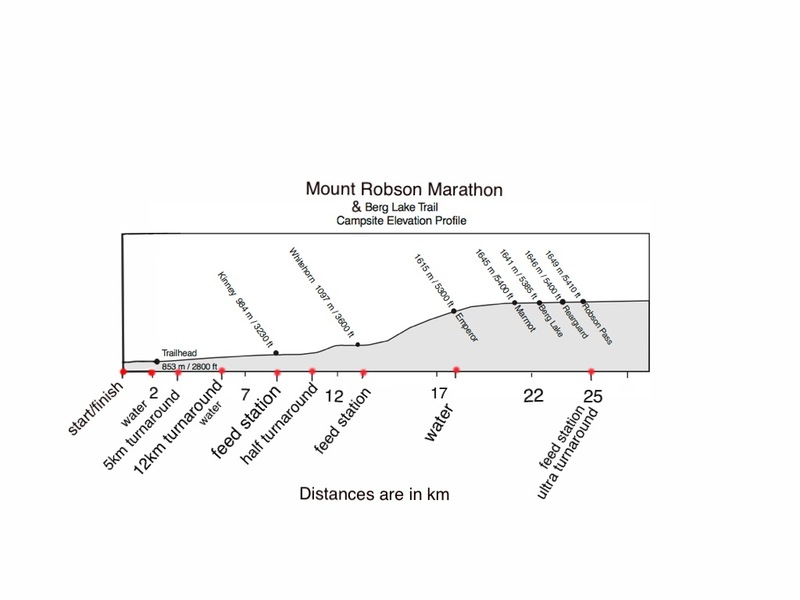 Runners start their day at the base of Mount Robson in front of the Mount Robson Visitor Information Centre. The Flatlander 5K run takes takes racers from the start-finish at the Mount Robson Visitor Centre and along the Robson River. The turn-around point is before the base of the first climb up “Avalanche Hill”. 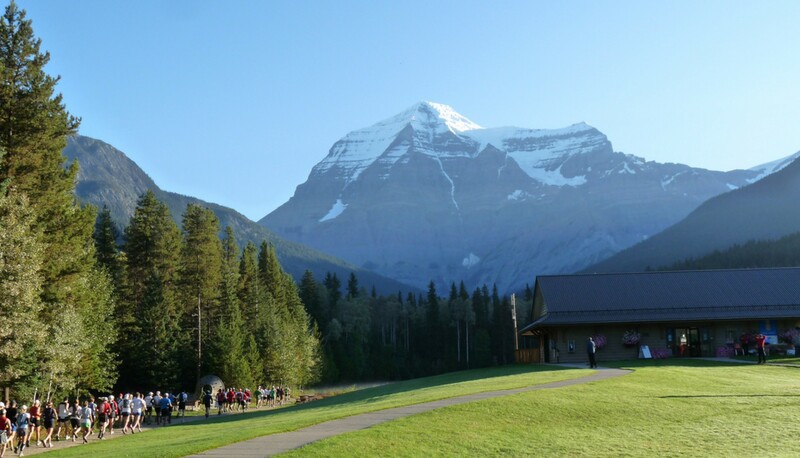 It is a great first-timers event that still takes in the spectacular scenery of Mount Robson. The Flatlander 5K has minimal elevation gain. 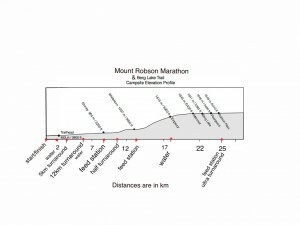 The first 2km (approximately) take runners from the towering view of Mount Robson at the start-finish along a flat paved road to the Robson River crossing at the Berg Lake trailhead. Then runners start up a wide low grade section of the Berg Lake Trail for less than a kilometre to the turn around point. Then they head back to the finish line. The Berg Lake Trail is the most heavily used backcountry trail in the Canadian Rockies, with over 2,000 overnight users each year. The trail is an old roadbed all the way to Kinney Lake, and is very well maintained with mostly hardpacked ground with very few exposed roots or protruding rocks.